We firmly believe that a personalized approach based on trust, integrity and clear communication are the keys to successfully helping you achieve your financial dreams. Living, working and raising a family in West Vancouver means we recognize the importance of discretion in a tight-knit community. We are singularly focused on you and your goals, aim to provide comfort and confidence through all of life’s stages. Working together, we can achieve the financial future you envision. As a discretionary portfolio manager with the Chartered Investment Manager (CIM®) designation, Fay has the education and experience to build a customized portfolio specific to you and your needs. 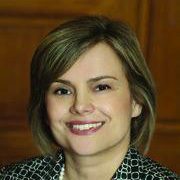 In addition, she holds the Certified Financial Planner (CFP®) designation, a certificate in retirement strategy and has extensive management experience and higher education that spans the globe. We believe that by bringing this unique combination of skills and experience to the table means the service experience you’ll receive from Fay is second to none. For busy professionals and business owners who prefer to step away from daily investment decisions, this capability is vital. Dedicated, meticulous, caring and thoughtful, Fay takes a research-driven approach to investing and a personal approach to relationships. No question is too small, no concern too trivial – a down payment for your grown child’s house, leasing vs. buying a car in retirement or saving for an important family reunion – Fay is here to help, every step of the way. We are singularly focused on you and your goals. 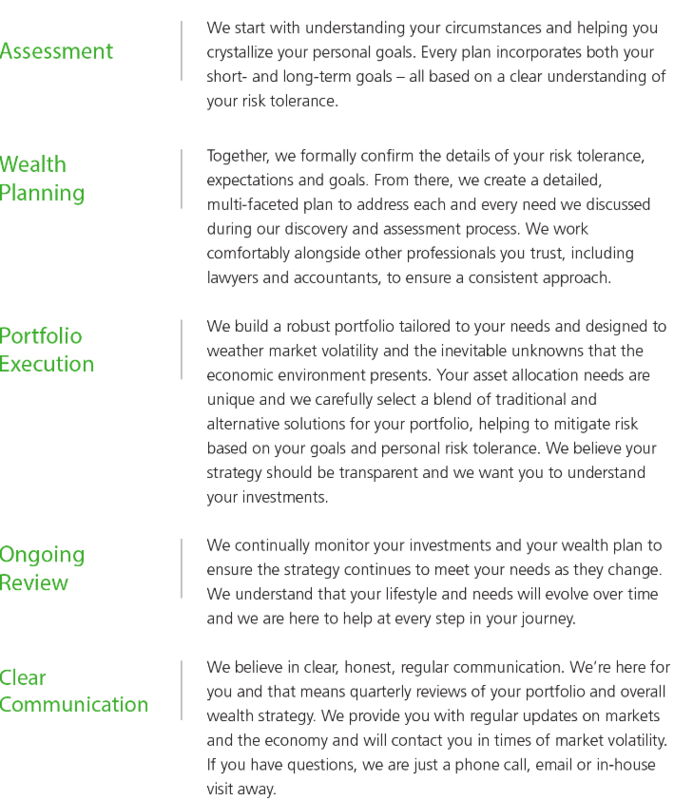 As a licensed portfolio manager, Fay provides customized, discretionary portfolio management complemented by comprehensive wealth planning that covers every aspect of your financial life – tax planning strategies, cash-flow management, estate planning strategies, insurance strategies and retirement income. But it’s much more than that. We have an open-door policy and put your best interests first, focusing on strong personal connections, accessibility and honest communication. We work tirelessly to deliver on our commitment, day after day, year after year.